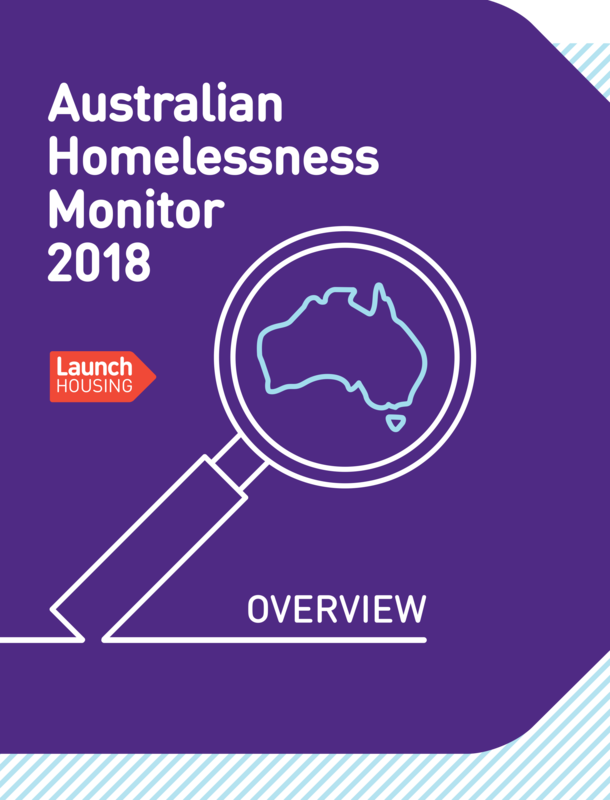 Far from being a marginal issue in what is usually considered a very well-housed country, homelessness is in fact a significant and probably growing social problem for Australia. Over 100,000 people were enumerated as homeless on census night 2011, of whom 6,800 were rough sleepers. However, a more recent study suggests that 2.35 million Australians have experienced homelessness in their lifetime and that 1.4 million of these have slept rough. Homelessness nevertheless evokes only episodic public and media concern. As a political issue, it has had little visibility since its brief prominence under Prime Minister Rudd and the associated 2008 pledge to halve homelessness numbers by 2020 (see below). While anxieties around housing affordability are rarely far from the headlines, stories are all too often couched in terms of worries about constrained access to tax-advantaged property ownership and all too rarely stress the link between inadequate affordable rental provision and the numbers lacking any place to call home. 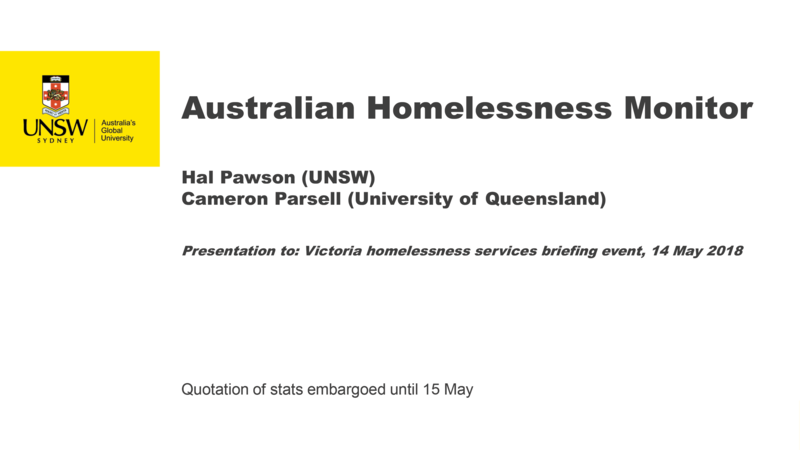 • primary research – key stakeholder interviews and a survey of homelessness services provider agencies. 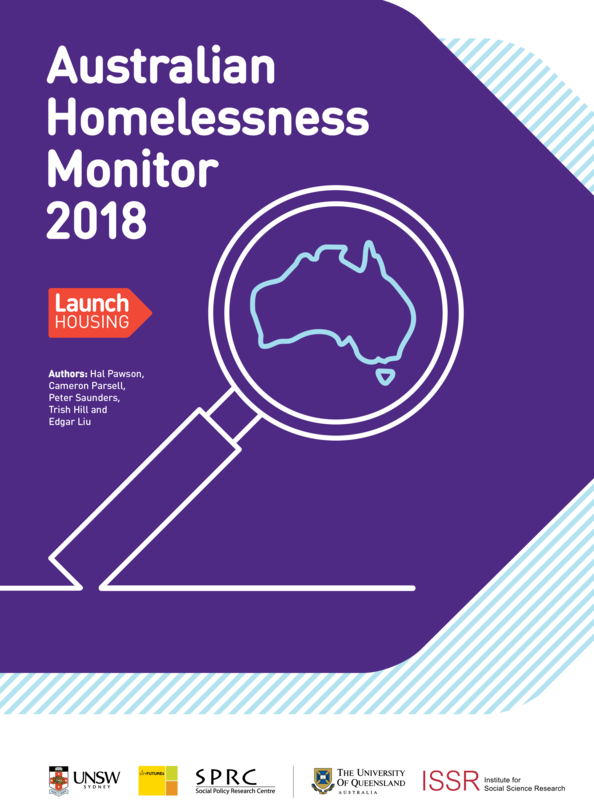 ‘The Homelessness Monitor reports have been referenced by elected representatives in the UK Parliament, the Scottish Parliament and the Northern Ireland Assembly’. 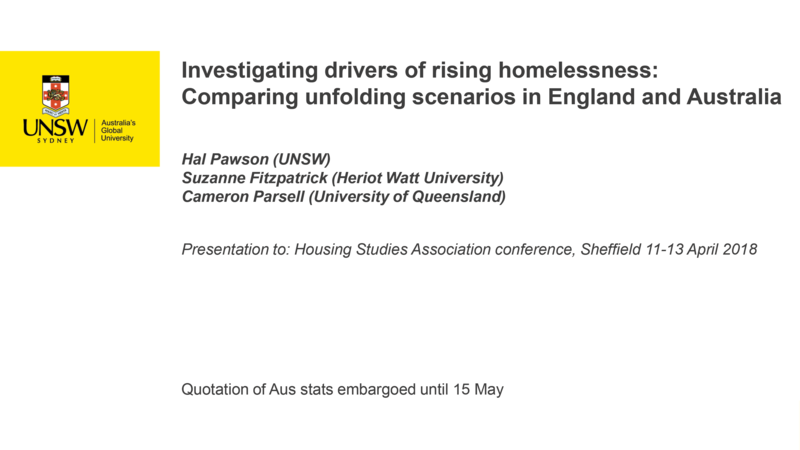 Another important UKHM spin-off ideally to be emulated by its Australian counterpart is in stimulating improved homelessness data collection, reporting and analysis. In adapting the UKHM model to the Australian policy and administrative context, important considerations will include the absence of a statutory homelessness framework in Australia, the more limited provision of rental assistance for lower income earners and the highly disproportionate incidence of economic disadvantage and housing stress affecting Indigenous Australians. Please click here to view a set of maps that show the regional differences in 2016 and how these have changed between 2011 and 2016 in terms of the overall levels of homelessness. If you would like an abbreviated breakdown on the reports findings please read our blog post.